Being active in helping out your community is a great thing to do. Not only does volunteer work do wonders for a community but it makes you feel good too. That’s why Everything Summer Camp is more than happy to carry the message out to all of our Blog readers that today is International Volunteer Day. 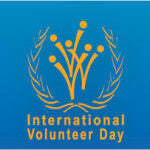 In 1985, the United Nations declared December 5 as International Volunteer Day. International days of observance are intended to increase the awareness and understanding of the day’s focal point. Today provides a chance for volunteers—whether they’re working on an individual level or in a group organization capacity—to bring their volunteering contributions to light. Marked by many non-government run organizations like Red Cross and scouts, International Volunteer Day is supported by all sorts of individuals and groups as well as volunteers of the United Nations. Volunteerism plays a significant role in any community, culture, and religion. It helps to improve the world, the people who live in it, and you! What does volunteer work do for the volunteers? It brings them closer to their community and gives them a great sense of belonging. Playing a role in your community brings you and the community you live in together. So what can you do to play a part in volunteer work that helps your community? Find out what other people are doing. December 5 almost always has some sort of rally, parade, or volunteer fair where you can find something to do for your community. There’s always something to do. From group clean ups to fundraising to workshops and giving blood, volunteer work is plentiful in everyone’s community. To put a slight spin of JFK’s old—yet well-remembered words—ask not what your community can do for you, but what you can do for your community.